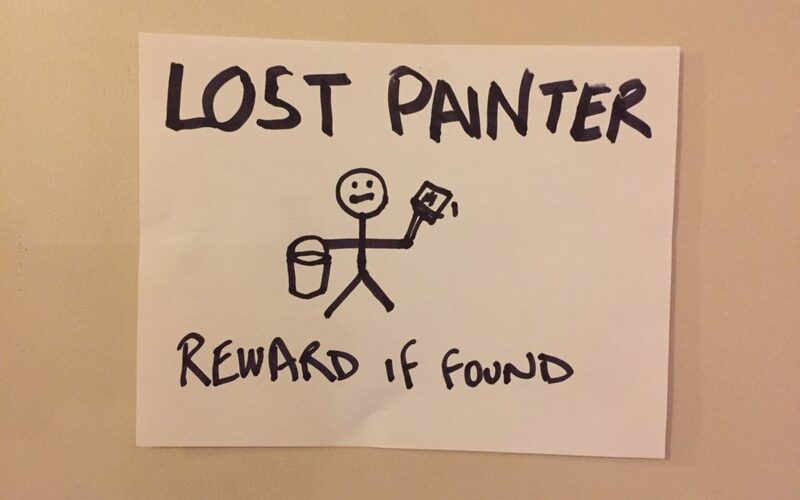 Do painters get a “kickback” for buying paint? The homeowner seemed to be implying that his painter was using inferior paint, and getting a big kickback from the manufacturer for doing so. His solution was to supply the paint himself, and just have the painter price out his labour. Is supplying your own paint the best approach? Are painters getting kickbacks from the paint store? Well let’s find out…. Just like any other business, if you buy a lot of product you get a volume discount. A typical homeowner might buy a few hundred dollars of paint every few years. A painting contractor typically buys thousands of dollars worth of paint each year. This amount of business is very valuable to a paint store, so volume discounts are offered typically between 15-30% depending on the product. What should a painting contractor do with those “kickbacks”? Some painting contractors mark up the paint, so that the end client is paying more for the paint than if they supplied it themselves. This is quite common, and in the free market system, a business should be able to quote whatever price they deem fair. At CAM Painters we pass on some of the discount to our clients and keep some of it. Why don’t we pass on the entire discount? 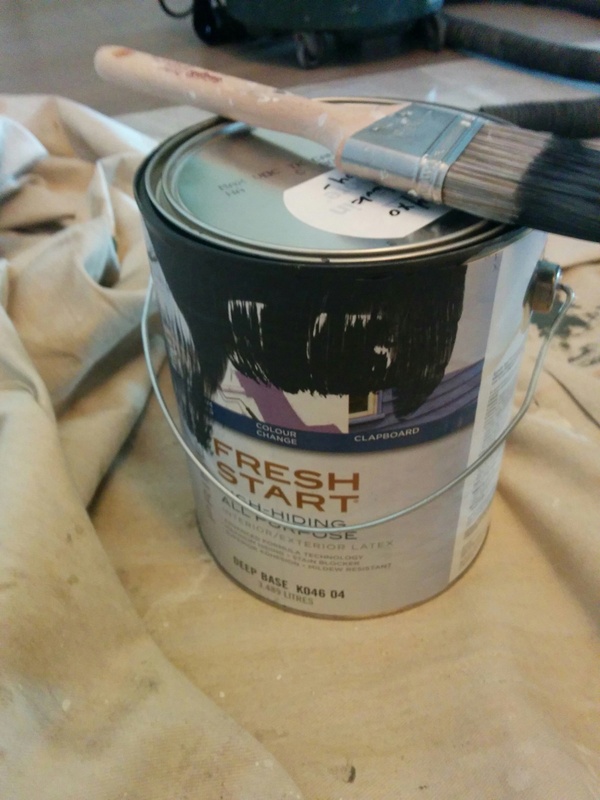 Our clients don’t have to go to the paint store to pick up their own paint, using their own gas and time. They don’t have to research all the products to select which one is the best for their particular application. Keep in mind that this time and effort on the part of the homeowner is on top of paying full retail for their paint. Because it’s our time going to the paint store, it’s our gas that we use to pick up the paint, and it’s our time spent researching products, we feel that keeping a portion of the discount compensates us for this. 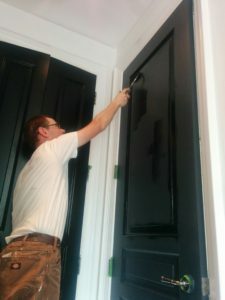 Even if a homeowner was to supplies us with top-line paint from a reputable manufacturer that we’d typically use there can still be potential issues. We can’t be sure how long it’s been sitting around, or if it was stored at below freezing temperatures, or anything else that could affect its integrity. When we supply the paint, we can confidently stand behind our warranties, which is 3 full years for exterior work and 5 full years for interior work. This also includes 1 hour of free touch ups each year, to keep your home looking its best! It makes sense for us to supply the most durable product so that it will hold up for the duration of our warrantee. When we supply the paint, we can accurately calculate out how much paint we need. This saves a homeowner purchasing extra gallons which aren’t used. On the reverse side, if we don’t have enough, we can go out and get more, and the price to our client doesn’t change. Consider this, if a homeowner purchases the paint and doesn’t purchase enough they have to go out and get more. What if the painter runs out of paint in the middle of the day, either the homeowner has to leave work to go get more paint, or the painter has to wait until the following day to get more paint. How inefficient is that?!?! Painting is what we do. We know which products work better than others because we are the end users. We also have strong relationships with paint stores, so we can get the best advice. So our clients get their homes transformed with products that have been selected collaboratively by both the applier and the manufacturer, which is the best of both worlds. In order for us to provide the best painting experience for our wonderful clients, it’s essential that we supply the paint for our painting projects. So if you’d like us to Transform Your Home With Lasting Beauty why don’t you book a quote? My @#$#&*! painter never showed up!!!! How do I find a reliable painter? You found someone either through a recommendation of a friend, or perhaps on Facebook, or a lawn sign. He seemed like a nice fellow when he met with you for the quote. He gave you a price, you accepted it and booked in a start date. The start date rolled around and no painter! No phone call, no text, no email – Nothing!! Why would this happen in the first place? First off, it’s very easy to call yourself a painting contractor. Barriers to entry are very low, a vehicle, some brushes, rollers, roller trays and you can call yourself a painter. However, with such a low startup cost some people treat their “painting business” as a part-time hobby. Many of these “painting contractors” will do cash only, so that they can avoid taxes and proper insurances, which places a lot of risk on the homeowner that hires them. To sum it up, they don’t have much invested in the process, so it’s easy for them to quit on their customers and leave them high and dry. 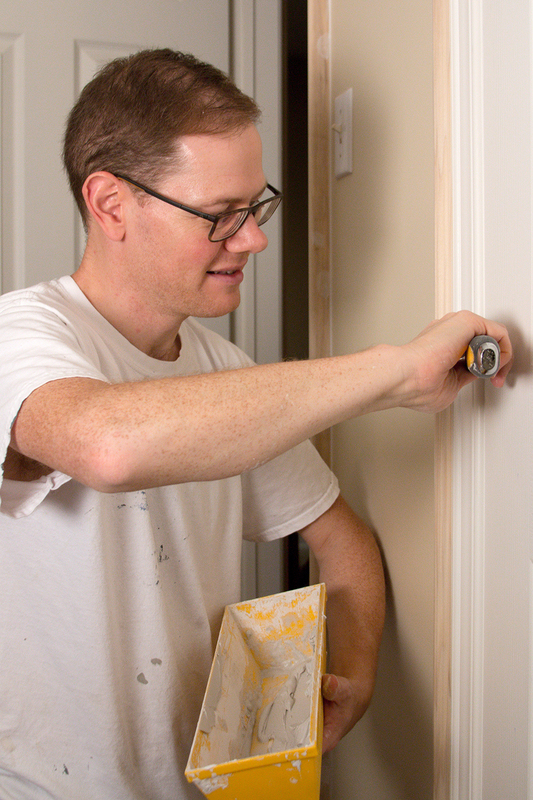 How can you find a reliable painting contractor? You can minimize the chance of this happening to you by doing your due diligence. How so? Ask your painting contractor how many years they’ve been in business? 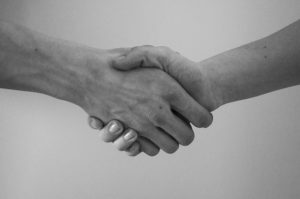 As a general rule of thumb, the more years someone has been in business, the more they are invested in the success of their business. 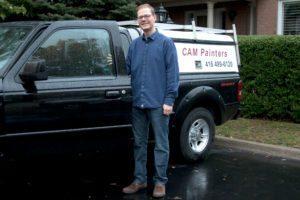 At CAM Painters, we’ve been in business for 16 years. We’ve invested thousands of dollars in equipment, so that we can provide a great customer experience. 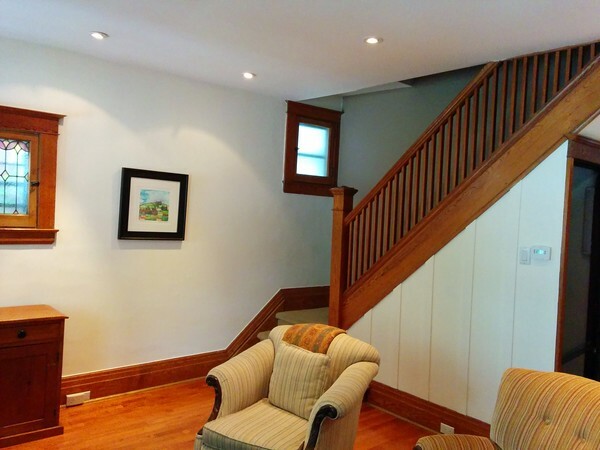 READ MORE: Which painting contractor offers the best value for my Toronto home? People will always say good things about themselves, sometimes they can even get a couple of other people to say good things about them. 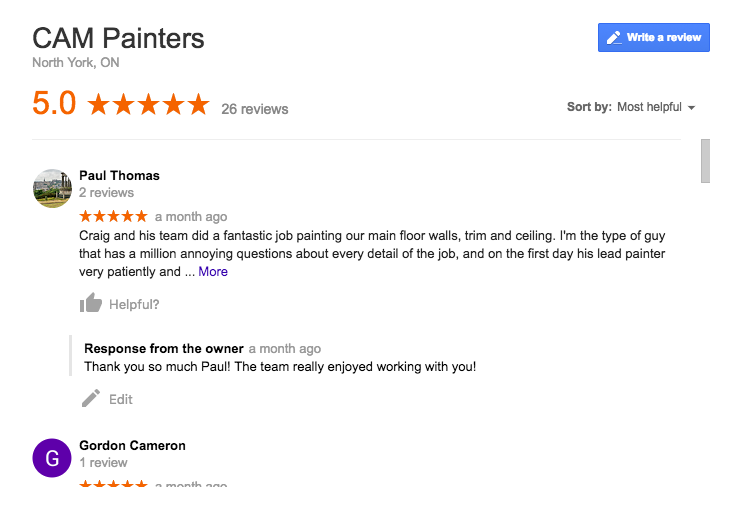 They’ve got lots of Google reviews – not just one review from their mother! 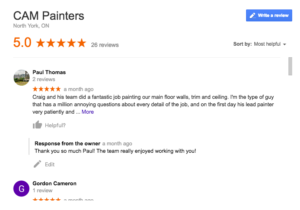 At CAM Painters we currently have over 20 5 star reviews and counting! You want an agreement in writing, so that there is no gray area of “he said, she said”. At CAM Painters we have a written proposal that goes over every aspect of the job from start to finish. 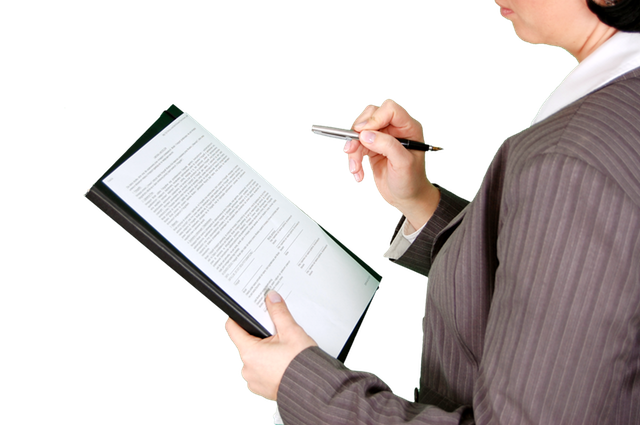 A reliable contractor will offer a written warranty on their work. At CAM Painters we offer a 5 year written warranty on both interior and exterior projects, as well as one hour of free touch ups each year, so that your house always looks it’s best! If you do your due diligence when you select a painting contractor you can minimize surprises during the painting process, such as someone not showing up when they say they will, or any other myriad of missed promises. At CAM Painters we strive to give an excellent painting experience from start to finish, so why don’t you book a quote? We’d be happy to Transform Your Home With Lasting Beauty! Which painting contractor offers the best value for my Toronto home? Let’s say you’re presented 2 painting quotes for your Toronto home, one half the price of the other. Which quote is the best value for your Toronto home? Well, it all depends on what you value. Sometimes the cheapest price is not the best value, so let’s peel back the layers and see what you get when you hire CAM Painters. CAM Painters uses employees, not subcontractors. Employees are covered under our WSIB insurance and general liability insurance. What does this mean for you, the homeowner? When WSIB insurance is in place that means if any painter is injured on your property, you are not liable. When general liability insurance is in place that means that if any damage is done to your property, you are not liable for that either. Therefore, if you want peace of mind throughout the painting experience, hire a painting contractor with WSIB and liability insurance in place. 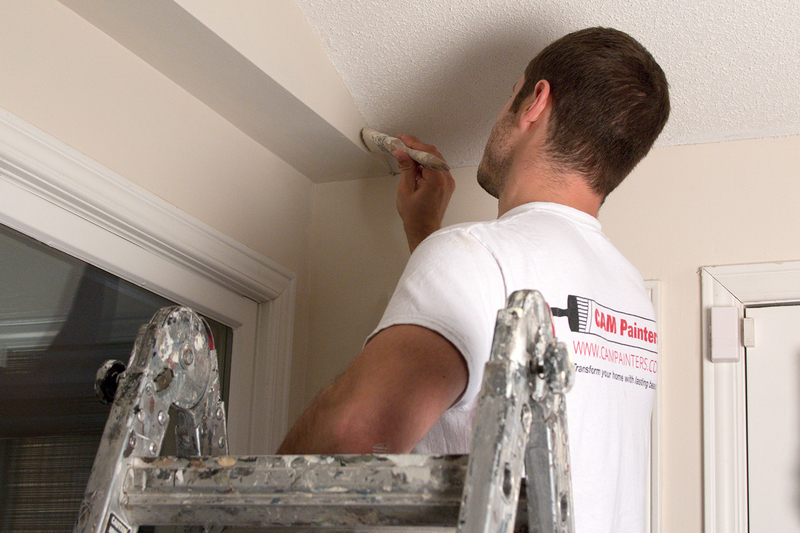 We have highly trained painters who love what they do! Not only that, we ask you what a great painting experience looks like to you. 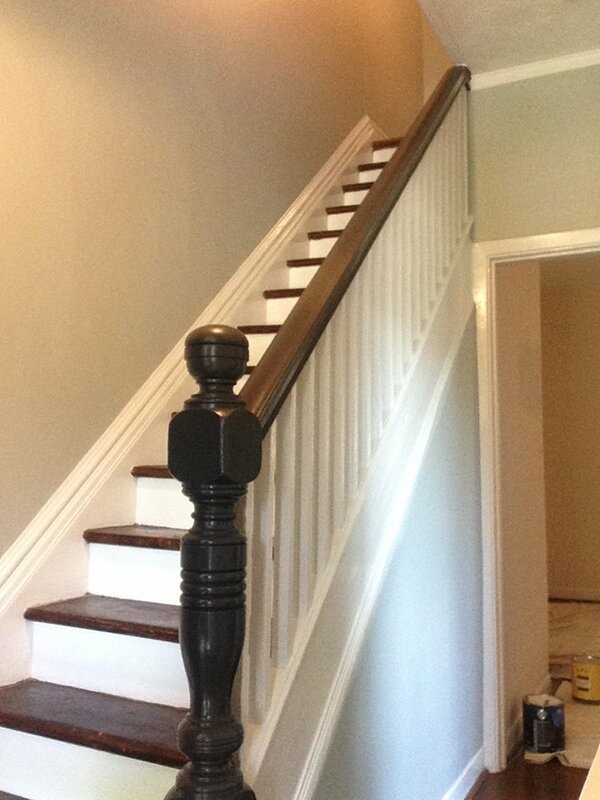 We want to make sure that you have a great painting experience from start to finish. At CAM Painters we have a 5 year warranty & complementary service package for both interior and exterior projects. Basically, this means that if any part of the project fails because of poor workmanship, we’ll come back and fix it free of charge. This warranty is in place from the day we finish to 5 years hence. Our complimentary service package entitles our wonderful clients to one hour of free touch ups per year. 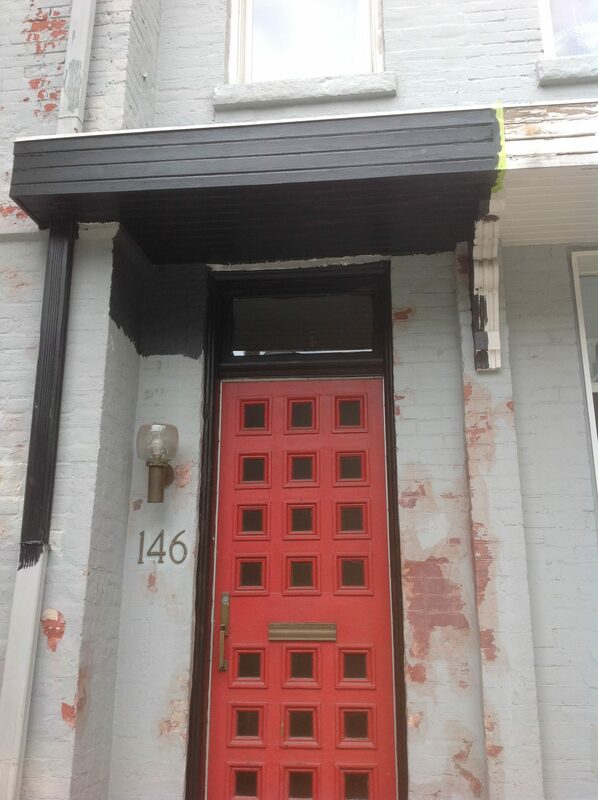 We want your painting project to look top notch, so if you get any scuffs or other wear and tear our service package can take care of that for you. At CAM Painters we believe that the value that you get from a paint job should exceed the value that you pay for a paint job. It is our desire to give our clients the maximum value and the best painting experience. Why don’t you book a quote and have CAM Painters transform your home with lasting beauty! If you want the paint work in your Toronto home to look the best it can, the preparation work that goes on before a can of paint is opened is critical to the finished product. Level 2 “Better” – this is for a typical customer that wants decent workmanship, they want to have a great painting experience, they want their painted surfaces to look smoother than they do currently, but they don’t expect or necessarily need perfection. Level 3 “Best” – this is for someone who demands the best and realizes that it takes time to achieve this level of finish. These customers are typically interior designers and people that like to keep their homes immaculate. Organization is key, we ensure that we have all the tools to properly tackle each job. Proper tools ensure that things get done with maximum efficiency, and minimal disruption for the customer. of paper for flooring protection, depending on which is most appropriate for the situation. Furniture is covered with clean plastic sheeting. 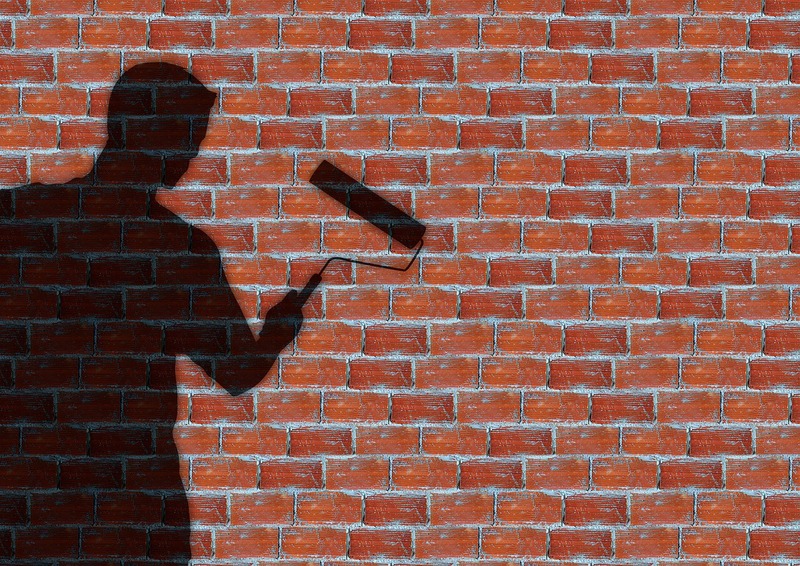 If we are painting things to a “good” level, then all that’s usually needed is a pole sand of the walls, and then a filling of all the visible holes and cracks. If we are painting things to a “better” level, then we will pole sand the walls and ceiling, fill all the visible holes and cracks, but then in addition to that we will sand out sags and drips on the ceiling, walls and trim and we will fill in any noticeable divots or dents as well. If we are painting things to the “best” level, then things get a little crazy! We like to put an LED light on an angle at every area that is to be painted, that way, we can see all the imperfections that are in the ceilings, walls and trim. The angled light causes shadows to be cast by every little dent or bump, which we can then sand or fill. 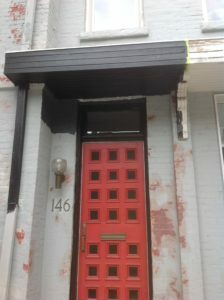 One consideration that we deal with in achieving a level 3 finish is that many of the walls in older Toronto homes have been at some time painted poorly – either by a do it yourselfer or a less than skilled painter. 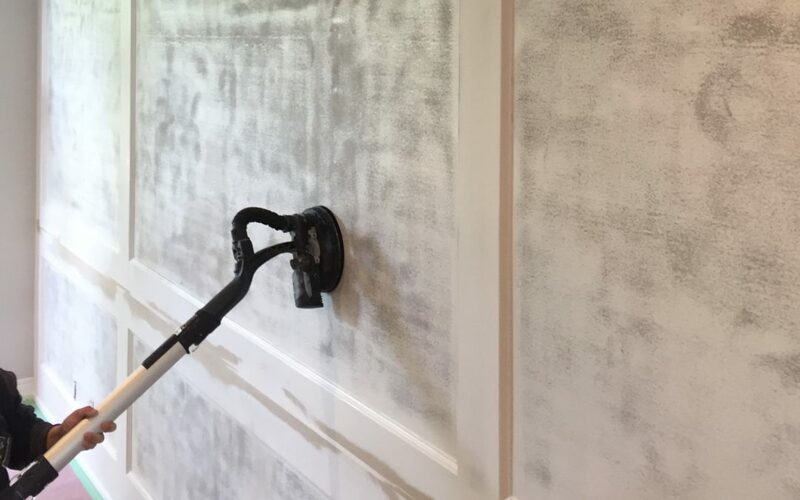 These walls typically have a lot of drips, sags and excessive roller texture. To make these walls smooth it takes a lot of work, which has to be accounted for in our timelines and our pricing. 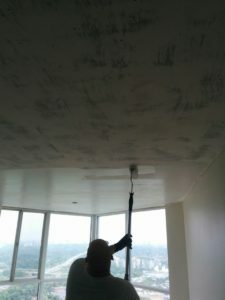 When we sand the walls we use a power sander attached to a vacuum, to eliminate dust at the source. No one likes dust and it’s best to eliminate it before it gets into the ventilation system and spreads throughout the house. After we have done all this patching and filling and sanding, we still aren’t done the preparation work, we still have to prime certain areas, and do a little more filling and sanding, just to make sure that the surface is ready to paint. However, when we do the preparation work right, then the painting goes relatively quick in comparison and the end result looks fantastic! The difference in price from the good paint job to the best paint job can be more than double. So when getting paint quotes be sure to compare apples to apples. 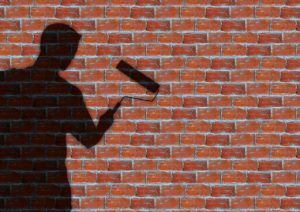 If someone has been quoted a level 1 paint job, but then expects a level 3 – frustration will result, both for them and their contractor! In conclusion, as you can see, a lot goes into a paint job, even before a can of paint is opened. In some situations more time goes in than other times. I like to make sure that this is communicated to my potential clients as clearly as possible, so they know the value that they are getting when they use my services. Why don’t you book a quote? We’d be happy to Transform your home with lasting beauty! How is painting your Toronto home like buying a pair of shoes? So you’re thinking about painting your Toronto home? Selecting a painter can be very similar to selecting a pair of shoes! How so, you ask? Well, it’s all about shoes that are a good fit, that are appropriate for the situation you’re facing and within your budget. Are your shoes a good fit? Everyone’s feet are different. A shoe that feels comfortable on one person might be uncomfortable on another. Similarly, you might feel comfortable with a particular painting contractor. Maybe they relate to you better than another. It’s important to have a painting contractor that you feel comfortable communicating with, and who communicates with you in a timely manner. Are your shoes appropriate for the situation? You wouldn’t wear running shoes to a business meeting, nor would you go for a jog wearing dress shoes! It’s the same with painting! 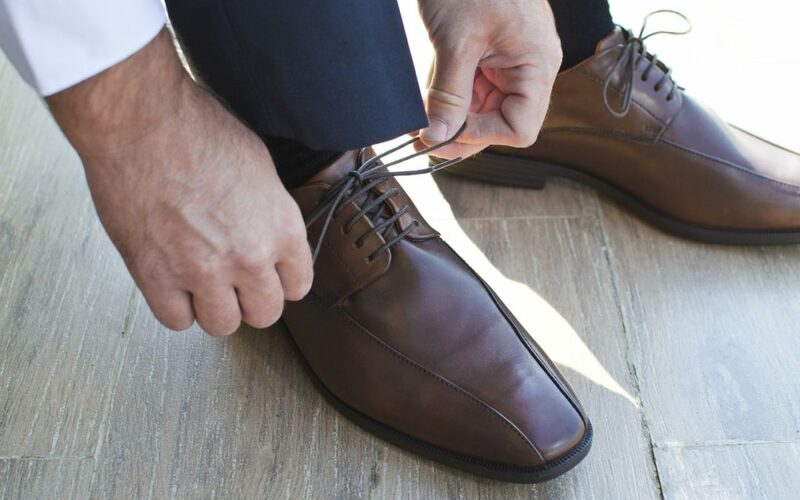 Some painting projects require “dress shoes”; You want the project to look great with a flawless finish. Some painting projects require “running shoes”; You need the project to be finished in the most efficient time frame possible. 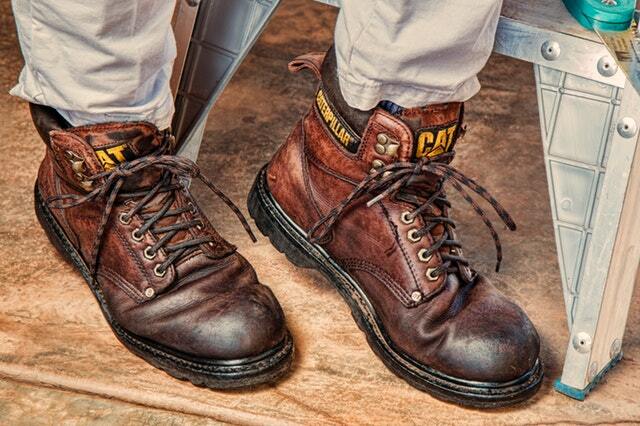 Some painting projects require “hiking shoes”; You need the project to be durable in adverse conditions. Some painting projects might require a combination of stipulations, or maybe something different altogether. 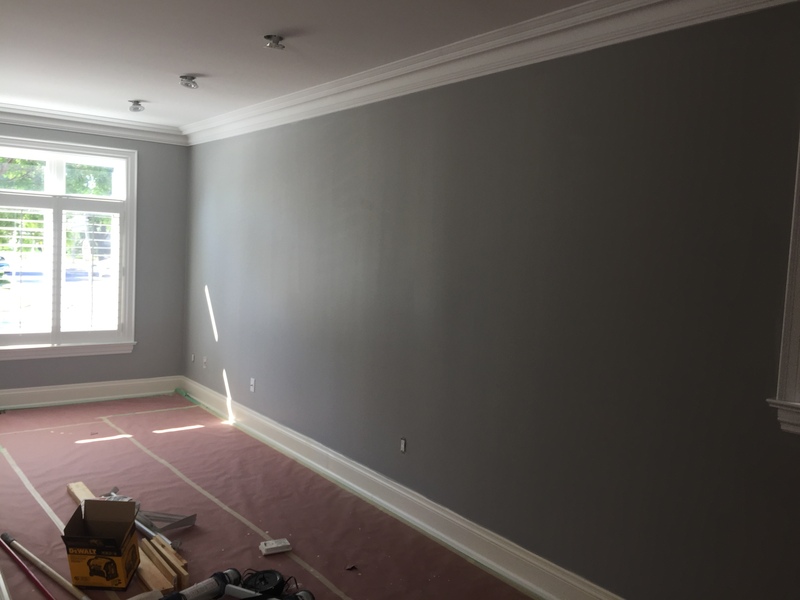 It’s important to be clear on your needs from the beginning so that you can select a painting contractor that is skilled and experienced in delivering what you require. 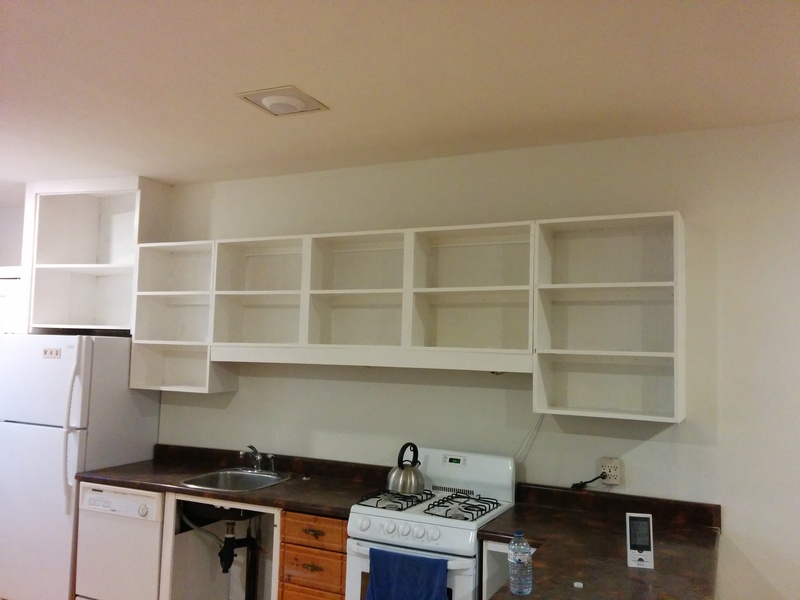 Just as the price of shoes vary, so does the price of painting projects. 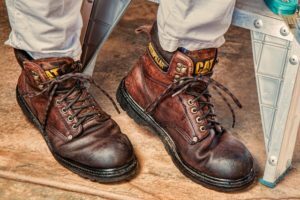 In general, if you spend more money on a pair of shoes, you can expect a greater degree of durability, technology or style. It’s similar with painting projects, the more you spend, in general, the higher the quality of paint, and the level of craftsmanship. A consumer must make a decision as to their priorities, because a customer can only choose two. If a client wants efficiency and low price, they automatically choose to not have quality. If a client wants efficiency and quality, they can’t choose low price. As with selecting shoes, selecting a painting contractor needs care to ensure that there is a right fit, appropriateness and budget. If you’d like to see if CAM Painters is the right “pair of shoes” for you why don’t you book a quote? We’d be happy to transform your home with lasting beauty! 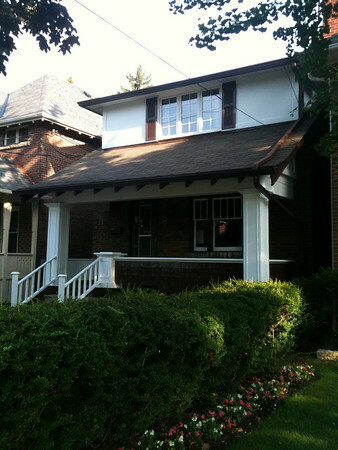 Selling your Toronto home? These painting projects give the best bang for the buck! 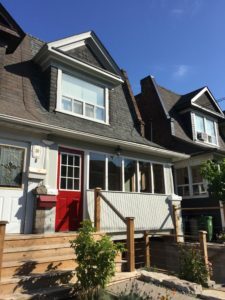 So you’re thinking of selling your Toronto home, you’ve looked at different home buyer companies such as We Buy Houses in San Antonio and now you’ve realised that it might be the time to update your house. Here are some painting projects that can pay big dividends in resale value! Obviously, if you can paint the place from top to bottom that would be the best for commanding top dollar in the real estate market, but that’s not always feasible. Sometimes you need to sell your house as fast as possible so don’t have time to paint everything. If this is the case for you then you may want to consider home seller financing as it could help you sell your home quicker, see https://www.amerinotexchange.com/selling-a-home-how-about-considering-home-seller-financing/ for more. But, if you’re happy for a quick paint job then here are our top picks for bang-for-buck projects when selling your Toronto home. If you do decide to sell, you may want to check out an independent home buying company such as We Buy Houses, who aim to make selling your home a smooth, stress-free process for you. You want people’s first impressions to be that your home is clean and well kept, so if things are looking a little old and tired, freshen those up first. If the house is clean and fresh prospective buyers will assume that you’ve taken care of the place and be more willing to put in an offer. If you have some leftover paint that’s less than a year old feel free to use it to freshen things up. If it’s over a year old, it’s best to get some new paint. If you have an older home, it might have dark wood panelling. If the panelling is painted a light colour it can really make the space look bigger and more open. This is especially helpful in basements which typically have very small windows and limited natural light. What can I do with the wall panelling in the basement of my Toronto home? There’s no quicker way to update the look of your kitchen than painting the kitchen cabinets. This is way more economical than cabinet replacement in most cases. At the same time you can update the hardware (door handles and drawer pulls) too. With painting your kitchen cabinets the colour options are limitless. Paint or Renovate? What’s Best for the Kitchen in Your Toronto Home? Many real estate agents will tell you that painting is one of the best things that you can do so that your house will sell quickly and for the best price. If you’d rather let us do the painting for you why don’t you book a quote? We’d be happy to transform your home with lasting beauty!